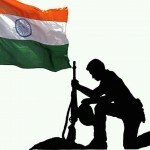 Home > News > Homeland Security > End Game Kashmir? These appear to be desperate times not only for the Pakistani Prime Minister and his government but also for the military that we know controls it. They both seem to have clearly understood, even if most Indian politicians in Kashmir or nationally have not, the clear implications of the massive voter turnout that we witnessed in the elections and the emergence of two parties, the PDP and the BJP, with majorities in the Valley and in Jammu respectively. …despite the Indian Army’s success Pakistan was able to keep the pot boiling in Kashmir by sending in terrorists covertly that helped focus world attention on the Kashmir dispute. It must be obvious to them that the inhabitants of the State are no longer willing to remain mired in a never ending cycle of poverty and violence and are willing to shed their inhibitions and embrace change. They must also be fairly certain that if these two parties work in conjunction they are capable of nullifying the limited impact that Mr. Gilani and the Hurriyat continues to exert, thereby destroying the toe hold that Pakistan clung to till now, apart off course meeting the aspirations of the voters. Most importantly, let us not underestimate the political acumen of the people. They also fully understand the need for the state and central government to be on the same page, if long term rehabilitation and development of the region is to be undertaken. All this apart, the states’ sizeable Shia and Bakkarwal/ Gujjar community is not unaware of the situation within Pakistan and is vehemently opposed to attempts at any merger with Pakistan that can only result in discriminatory treatment at the hands of the majority Sunnis. In July 1989 the Indian Defence Review published an article, OP TOPAC, named after Amru, an Inca Prince, who fought an unconventional war against Spanish rule in eighteenth-century Uruguay. The exposition brilliantly war- gamed and outlined, fairly accurately, the broad contours of the anticipated course of action by Pakistan in Kashmir, especially its resort to covert irregular warfare. 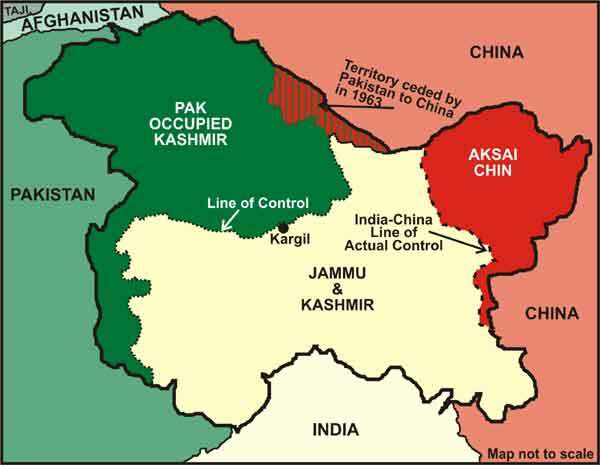 Off course, despite their best efforts, the separatists and their ISI supporters were unable to enlarge the insurgency into a civil war which would then have led to a war of liberation and the formation of an independent Kashmir with Pakistani assistance, much like what we witnessed during the course of the birth of Bangladesh. However, despite the Indian Army’s success Pakistan was able to keep the pot boiling in Kashmir by sending in terrorists covertly that helped focus world attention on the Kashmir dispute. Despite our best efforts, both diplomatic and military, we have not been successful in deterring Pakistan from waging a proxy war or maintaining peace and tranquility on our borders. After more than two decades, the Pakistani establishment is now faced with the grim realization that not only is their game plan for keeping Kashmir burning rapidly fizzling out, but also that the world has moved on. Desperate times call for desperate measures, especially since Mr. Sharif’s attempt to bring up the issue at the United Nations General Assembly was so poorly received. 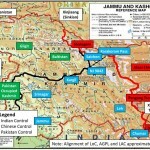 The attempt by Pakistan to resort to indiscriminate firing across the LOC and even along the International Boundary despite retaliation in equal measure by the Security Forces is an attempt to keep the issue in focus, apart from providing assisting in infiltration bids by terror groups located there. Its desperation has reached such limits that it has even made the cardinal mistake of providing trains for a rally organized by the mastermind of the Mumbai attacks, Hafiz Muhammad Saeed, the Amir of the Jamat-Ud-Dawa and its military wing the Lashkar-e-Taiba. By this act the Pakistan state has shattered the veil of secrecy that till now allowed them to deny linkages with Hafiz Saeed and the Lashkar. This clearly means that no future attack like that at Mumbai can ever be passed off again as carried out by non-state actors. Off course, if such an attack were to happen, Pakistan will now attempt to blame either the Al Quaida or the ISIS for carrying it out, though this will no longer be seen as credible. However, despite our best efforts, both diplomatic and military, we have not been successful in deterring Pakistan from waging a proxy war or maintaining peace and tranquility on our borders. There is now an urgent need to reassess our methodology of countering Pakistan and to look at dissuasion as a possible option. In this context the Korean situation may have lessons for us because both Pakistan and North Korea appear to be remarkably akin. As Dr. Ayesha Siddiqui, author of Military Inc: Inside Pakistan’s Military Economy, has suggested in her article in The Express Tribune of 6 June 2010 that in both states the military has emerged as the sole institution and their leadership believes in the pre-eminence of its nuclear capability and sees nuclear weapons as vital in negotiating resources from the world community. Pakistan’s arms production base is very narrow, and mostly within range of Indian combat aircraft and missiles. 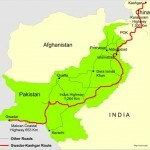 Pakistan is ill-placed to fight a war of attrition with India. As we have witnessed over the years the world community continues to be blackmailed into providing financial support and aid to both these pariah states only because it is unwilling to see them collapse or what is infinitely worse find itself confronting hardl ine or radical elements that would then control the nuclear trigger. While both states harbor hopes of reunification (in our context with Jammu & Kashmir), their policies are focused on regime survival which implies maintaining the primacy of the military under all circumstances. As Prof Ramesh Thakur of the University of Waterloo has pointed out in the Globe and the Mail of 01 Dec2010 there are notable structural parallels between both the Korean and South Asian potential nuclear flashpoints. “North Korea cannot make war, for it knows it would lose against the combined military might of South Korea and its U.S. ally. It cannot make peace, for then, too, it would lose to its more dynamic and prosperous twin. So it is compelled to maintain tension short of provoking a full-fledged war. The same equation of neither war nor peace because either would guarantee defeat applies to Pakistan vis-à-vis India. Given the geography, North Korea could certainly inflict heavy damage on Seoul, but its ability to sustain protracted combat is highly suspect. Despite the similarities mentioned there is one notable difference in that the Korean Armistice Line has seen very little provocation on the part of the North Koreans apart from the two incidents in 2010, when it sank the South Korean naval vessel CHEONAN, killing 46 sailors, and shelled Yeonpyeong Island, killing two Marines and two civilians. While the US- South Korea integrated military command structure for prompt response to any aggressive North Korean military moves acts as a deterrent it is possibly the forward deployment of 12 Divisons of the South Korean Army that provide the dissuasive element to this strategy apart from the fact that both the US and South Korean military have clearly made it be known that they would respond aggressively to any military provocation. In our context it would be interesting to know as to what the impact of Op Parakram was on dissuading Pakistan from undertaking provocative actions during that period. It is time that we deploy our armed forces in the state of Jammu & Kashmir along the entire length of the LOC and International Border and clearly declare our intention to respond aggressively with maximum force against any provocative action in the state including punitive action against Pakistani posts that assist terrorists in their attempts to infiltrate. Such a course of action is likely to force Pakistan to reconsider its present policy of “proxy” war, especially the costs of escalation and if nothing else, it will deter the machismo of Pakistani rank and file and we can hope of the senior military commanders as well. is a second generation para trooper and author of “Beyond the Bayonet: Indian Special Operations Forces in the 21st Century.” He is currently a consultant with the Observer Research Foundation. Comparing North Korea with Pakistan is a mistake, North Korea does not bleed south Korea with terrorism whereas pakistan continues to bleed India with proxy war. I feel that we are wasting our time talking to the Pakistanis and also getting some sense in the head of the Kashmiris. Firstly in Pakistan the shots are still called by the Pakistani Army so a dialogue with the Pakistani government is an exercise in futility. Our Government (all that have been there) do not have to stomach for hard measures. They love their political business and are loath to do some real time thinking on these issues. It’s left to the ineffectual babudom to decide the course of action. We must consider hard measure to handle this situation. Firstly make the LOC a hot frontier. Let’s slug it out on the LOC with the Pakis and let’s see how much of a stomach they have for this kind of action from our side. We already have enough troops deployed in J&K; we will just have to readjust. Whereas Pakis will have to induct fresh troops and to manage their up keep will be costly – their economy cannot support long term deployments. Secondly we must withdraw all the troops from the Valley. Let them sort out their mess – remember SWAT. Let’s do a SWAT on the Valley. Things will sort themselves out very well there and the Army will be a welcome sight for the Kashmiri. while the large voter turn out can be construed as a vote against the separatist policies it can not be altogether ruled out that the need to control the govt in j&k either b7y valley or the jammu region was also a factor. for whoever comes to power will control the purse strings and thus development pattern hence the crying need to secure power. this is borne out by the support that omar abdullah is now offering to pdp to keep jammu elements ( read BJP). it appears armed insurgency and strife has been a money making /minting for the armed forces contractors , politcans , police , beureucracy paramiltary and even the armed forces . The congress has let the seperatists fatten at Indian taxpayers money. MANY ENJOY HOSPITALITY IN DELHI AND OTHER INDIAN CITIES AT FIVESTARS AND CORPORATE HOSPITALS .CHINA SIMPLY BUMPS THE XIUGUR REBELS BUT INDIA IS MAGNAMOUS FOR THE TERROR KINGS . DESPITE THE ARMY WHY TERROR CASES AND TERRORISTS ARE ALLOWED TO FATTEN IN LIBERAL INDIAN JAILS SO THAT HIJACKINGS CAN BE DONE TO RELEASE THEM. COURTS SHOULD DECIDE WITHIN WEEKS AND AFTER THEY ARE MILKED FOR INTELLIGENCE THEY MUST BE HUNG LIKE AFZAL GURU OR INDIAN SOFT STATE WILL CONTINUE TO PAY A PRICE . parallel with North korea is wholly out of place. The narrow similarity in terms of nclear blackmail and conventional assymetry becomes insignificant when you look at the two pivotal points characterising the Indo-Pak imbroglio. And these are the theocratic splurge and the heavy almost exclusive dependence by Pakistan on what she shamelessly calls the ‘non-state’ actors. Our stand off with the western neighbor is sui generis and we have to look for ways to deal with it in our own unique way as the situation has no other parallel anywhere else in the world.